Goldstein emphasizes the theme of doing well by doing good, through many characters, even the criminals—though many of the characters are criminals at some level. 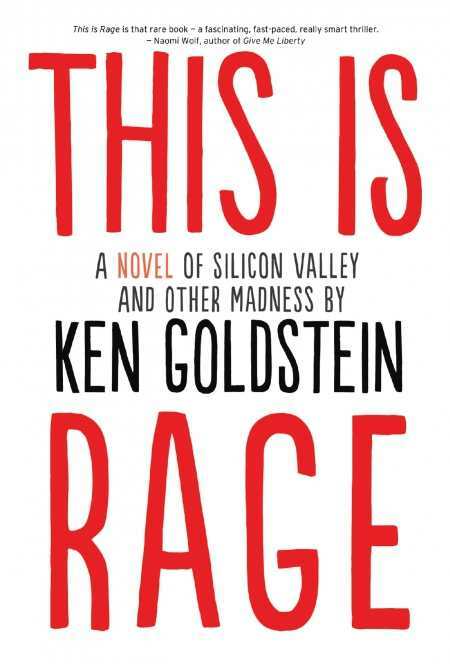 Ken Goldstein is a Silicon Valley insider’s insider, and this ripples well through his first novel, This Is Rage. He writes about what many perceive as a dirty industry, where the fat-cat CEOs sell out early for hundreds of millions of dollars without a care for the scores of employees who make it all possible. Goldstein’s sparse writing style allows his characters to advance the plot in some places, but there is also a lack of physical description and inner dialogue to bring needed emotion to the story. That said, this is a novel about business, and business is not personal. Goldstein emphasizes the theme of doing well by doing good, through many characters, even the criminals—though many of the characters are criminals at some level. For example, two businessmen bring up their vision for creating jobs as the impetus for their actions, which spiral out of control in the opening scene, resulting in the botched kidnapping of EnvisionInk’s billionaire chairman of the board, Daniel Steyer. Kimo Balthazar, the ebullient, fan-seeking radio talk-show host (who is minimally yet repeatedly described as being overweight without further physical information), has a dearth of emotion and is laser-focused on being heard in the realm of Internet radio. He is wedded to his site meter, which blows up when he lucks onto what’s called a “get” in the media industry—guests who appear on the show and later become famous. EnvisionInk’s CEO and board members, along with politicians and the supporting cast, provide some color and context as well as humor—either intentional or not. EnvisionInk’s general counsel, Sylvia Normandy, appears as a forceful invasion, like the storming of the beaches at Normandy, when she enters a room or locks horns with someone. This Is Rage is both a fun and erudite read—the author’s fine education pokes through in many sentences loaded with intellect and amusement. Readers who do not enjoy reading about the tech industry and financial specifics should simply skip those paragraphs to stay engaged with the story at the heart of this novel—a radio talk show host on a mission. For those disillusioned by how big corporations operate, like the author (a Yale University grad and former CEO Shop.com), This is Rage provides a view that resonates.